If you need some inspiration for outdoor activities, you can always visit the Discover section of the QORF website. There is no shortage of things to do - it is just a matter of choosing, and then getting out and doing it. Remember to take your cameras - if you snap a few good pics, maybe enter QORF’s Visioning the Outdoors photo comp next year. Come along and join us for a 'cocktail party' styled event on the banks of the Brisbane River on Friday October 30. 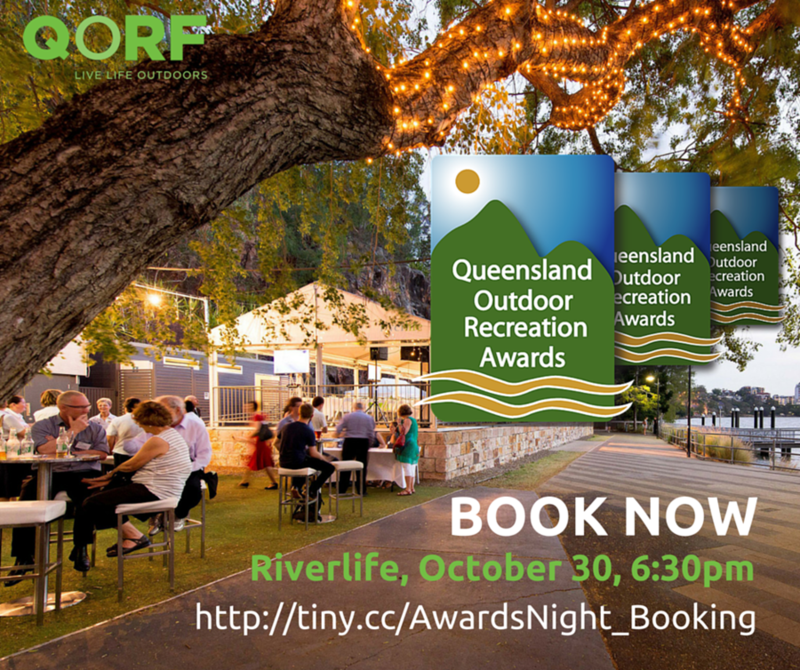 Riverlife Brisbane is a lovely spot to share a drink, enjoy some great food, get together with like-minded folk from the outdoor sector and, most importantly, acknowledge all the Award winners and finalists. 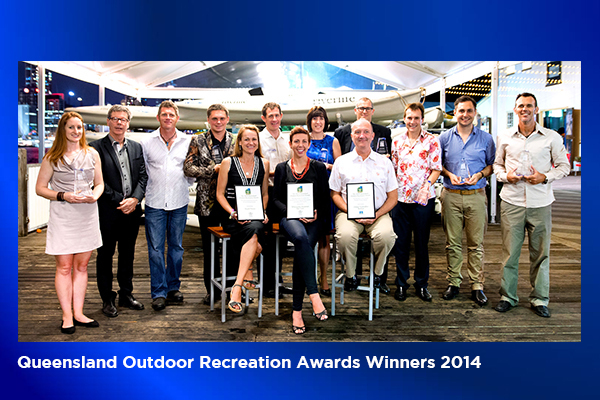 The Queensland Outdoor Recreation Awards recognise and reward excellence in the outdoor recreation community. The Awards celebrate individuals and organisations that have been successful in significantly improving outdoor recreation outcomes for participants and clients. 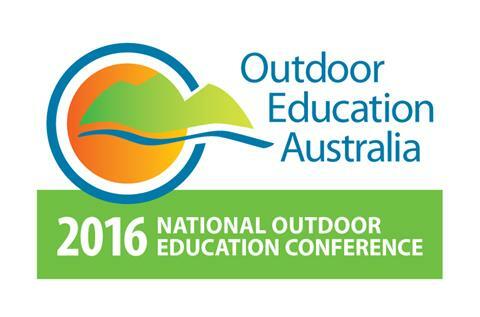 Thank you to all the award sponsors for their ongoing support: The Queensland Government, the Brisbane City Council, K2 Basecamp, Riverlife Brisbane and Nature Play QLD. From a sea kayak, Tim Trehearn has captured a view not often seen of this precious, world-famous region – a window to paradise. 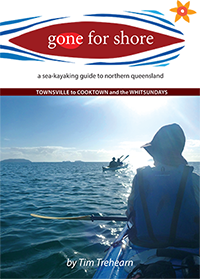 This book would suit sea kayakers of all ability levels, or anyone curious to see this special region through the eyes of a sea kayaker. Advertising spaces are now available on the QORF Wallplanner. It's a great way to put your services in front of your audience - people who are interested in outdoor recreation. Reduced rates for QORF Green Circle Members. We can even design your ad for you too! From time to time the Department of National Parks, Sport and Racing conducts surveys in order to develop a better understanding of the industry and to assist in policy development if needed. QORF is pleased to assist the Department in circulating this survey. Please complete the Active Recreation Consultation Survey by 5pm, Thursday 15 October 2015. Did you know we have an Outdoor Gear section on the QORF website? We invite all gear freaks, retailers, distributors and most importantly users to send us reviews of their favourite bits of gear. New research shows that risky outdoor play is not only good for children’s health but also encourages creativity, social skills and resilience. Children who participated in physical activity such as climbing and jumping, rough and tumble play and exploring alone, displayed greater physical and social health. Queenslander Janine Junfgels has emerged victorious to be crowned Observed Trials World Champion at the MTB and Trials World Championships in Andorra earlier this month. The result is Australia’s first Observed Trials World Championship title, and our second ever after Jungfels also finished third last year. Outdoor Rec in the Olympics? The International Olympic Committee will decide on a proposal from the Tokyo 2020 Organising Committee to include five new sports in the Olympic Programme. Among the suggestions are skateboarding, sports climbing and surfing, reflecting the desire of the Olympics to reconnect with youth and changing activity. Spring, the time to get outdoors with your camera! DMM Locking Carabiners sold between 18th May 2014 - 11th September 2015 may be faulty. 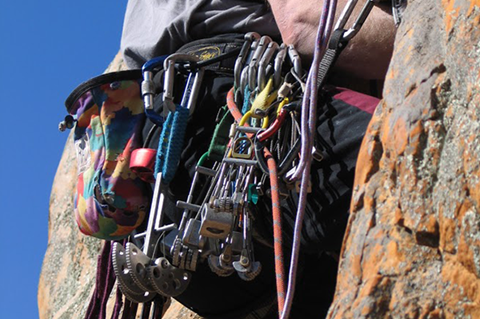 A failure of the carabiner to close or lock completely poses a potential fall hazard, which may cause serious injury to the user. With the ever increasing importance of social media as a marketing tool and way of keeping in touch, QORF is developing a solid social media presence. We encourage you to like us on Facebook, follow us on Twitter, subscribe to us on YouTube, follow us on Instagram and follow us on LinkedIn. Icebreakers, program themes, readings, initiatives, solo, campfire and fun games, conundrums, canoe games, Aboriginal learnings, gear lists, debriefs, fire safety and more. get your Outdoor-tober outdoor projects off the ground? Maybe we can help! APPLY TODAY! 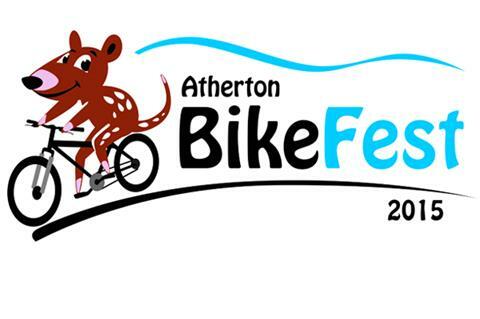 We have the Great Aussie Camp Out (GACO) on the 11th, the Atherton BikeFest is on the 17/18th, the Moreton Bay Boat Club's Discover Sailing day is on the 25th, and QORF's Queensland Outdoor Recreation Awards on October 30. Welcome aboard The Outdoor Education Consultants! Please remember to only use the new Green Circle Members logo on your websites and in other applications. 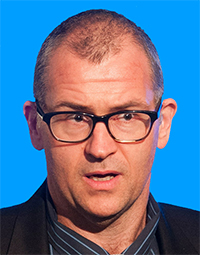 Email for a copy.